10m or 8m is my go too. Light days 10m normal days 8m . If I need any thing smaller than a 8m - I go to the Element6 line up . I love the 4m with the foil. Super stable and just zips around. The Elements in the smaller sizes 3-4-5-6 are a golden ticket is you need that small size. I have just returned home from a holiday up around Exmouth (NW Australia) where my first fly of the H3 was in marginal winds probably around 8knots on a foil, the kite handled fantastic despite the fact that I am fairly new to foiling. I did crash the kite a couple of times (through no fault of the kite just because I am still a foil kook) so I had the chance to test relaunch, which was very good, at one stage the wind was so light though that it didn't want to come up but a pull of the rear lines and I achieved my first reverse launch. The kite stayed in the sky despite some big lulls and was extremely well behaved. The next day I got to try it in a little bit more wind (maybe around 12 knots) on my surf board in some good head high waves, drift and responsiveness was fantastic. Previously I would have been on my 12mtr Method 2 (which I never was really happy with, I loved the smaller Methods but pretty much just made do on the 12 without ever being very impressed) and the difference is chalk and cheese. Then the following day I was in the same waves in around 18 -20 or so knots, I would normally drop to my 9 at that strength but wanted to fly the 12 again and was so glad I did. I can't see the Methods getting much use anymore, the Helium 12 will be an awesome light wind wave kite. I previously didn't often kite in waves on anything larger than a 9 and at one stage I misjudged the kite position as I was coming down the face of a wave and the wingtip clipped the water, from my experience from previous occasions when I had done this on other kites I thought it would be all over but it popped straight back up and kept flying, phew. If I get time I might try to put together a video. 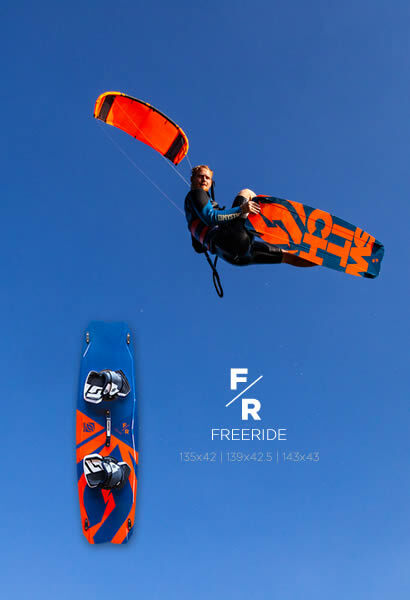 IMO any Switch fan (well any kiter really) that is into wave riding and/or foiling would love one of these in their quiver. well i just pulled the trigger on my first switch kite, a H3 16M. im excited...hope its as good as everyone says and the majority of the reviews i have seen. ive bought a few small items from switch (controller 2 and other various bar parts) but have not had one of their kites yet. ive been wanting to buy one for a long time now...a long time. 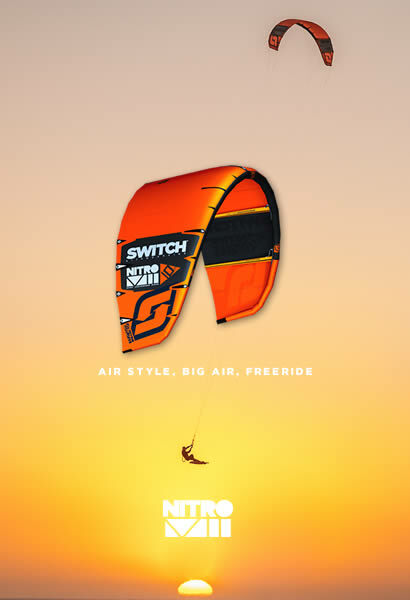 there was a pretty big Switch following in Corpus Christi TX and that was my first encounter with Switch, was with Nitro4's and they seemed to be really good kites. i own all best kites now and have not had a decent light wind kite...well come to think of it ever. last kite larger then a 14m ive owned was a Rhino 02 20m LOL. im in south Texas (Houston/Galveston bay area) so plagued with light wind a LOT and im sick and tired of not being able to enjoy/take advantage of it. feel free to give any advice other then whats posted previously, also about to get into the foil game so hope that will also help with combating light wind. So i finally got out on my helium h3 and its pretty nice. Got a session on about 14-15 mph with lulls down to 9 mph and gusts to about 21 mph and it did totally fine...as i expected. A week prior i tried with an average of about 10 mph and lulls down to about 3 mph and needless to say it did not go so well. Yesterday it was my first run on my 7m helium3. wind range at 17 to 22 knots. road it with a nobile 134 x 42tt. im 75kg with all gear, and intermediate kiter kitting since 2005. Let me start by saying that windcharts are totally misleading. started kitting and had to depower it half way. Rigged the kite for the bottom setting in briddles and faster turn. this kite builds power. dont be fooled by the small size i was wipping it around and the kite is fast generating lots of speed. good upwind i was able to keep up in speed angle with all the 9m guys ridding. i was the only one riding a 7m. relauch its easy and extrelly fast. so its super begginer friendly. this kite jumps very well and the description on website does not represent it. Made some really nice jumping. it wont rip u like the nytro but it has a good pull upwards. Glide is not its forte in the 7m but if well directed it will land you softly. kite has some canopy flutter when turning softlly due when the depowered. wind started to decrease to 15 to 19 knots and i was able to continue riding with 9 meter guysbut in the 15 knot range was underpowered and struggled to keep ground. to sum it up session was really nice and kite looks and feels solid. looking forward for another session and trying it with the hydrofoil. happy customer ,really nice kite! props to switch for awesome affordable gear. core xr5 and north rebel dudes laughed when i rigged it. some notted and said it was the wrong kite wrong size. after the session everyone was checking it out! this alone made my day!!! Prejudice is a beeaaaatch !! I have the H3 12m and finding it tricky to handle gusts and upper wind range. Winds were 17/21kn. 82Kg. Strapless. 23m likes calibrated. Kite pumped to 8psi. Standard bridle attachments. When I would get a gust I would feel the bars quite heavy. A couple of inches throw and the kite canopy flutters violently. Also noticed in the upper range it doesn't keep shape that well. It doesn't seem to like agressive turns. My Elements 3 & 5 handle gusts better and can be flown more aggressively. Is this because its a big light wind kite with lighter material and its already overpowered? I have a 12m as well but haven't pushed the top end. It is a light wind foiling and wave riding kite for me. It does flutter quite a bit when you let the bar out and the turning speed is typical for a 12m. I was impressed with how well the 10m worked in strong wind but the wind range is noticeably smaller for the 12m. This is consistent with with other 3 strut kites that I have used, e.g. Slingshot RPMs. It is much harder to maintain the structure under severe load for bigger kites without adding struts. In the end I went for a 12m just because I want that little bit of extra oomph to get up on the plane. Once the wind hits 15 knots, I am dropping kite size very quickly. At 17-21 knots I am usually on a 9m with a surfboard and a 6m on a foil. The fluttering seems to go away with a little tension on the back lines. Not a lot. Just fingertip pressure. The fluttering went away when I pulled the Bar down more than half of the way! Not by Fingertipp pressure. Helium 7sqm in 23 knots. I think it feels like wether an off or on mode. I'm not happy with the kite.